We’d love your help. Let us know what’s wrong with this preview of The Road Home by Krista Sandor. Jenna Lewis has spent the last fourteen years lying about her past, but all that changes when a family emergency calls her back to the quaint town of Langley Park. Her plan is to get in and get out as quickly as possible, but things become complicated when she comes face-to-face with her lost childhood love who is You can outrun a lot of things. The truth isn’t one of them. Will she survive what lies ahead? Can her heart navigate the road home? To ask other readers questions about The Road Home, please sign up. I fell in love with not only the characters -- Ben, the single day, had me SWOONING -- but also Langley Park. Krista Sandor creates a world with memorable characters, a heartwarming and at times, heartbreaking story with sprinkles of mystery and suspense that keeps you guessing. I was sad to leave Langley Park and can't wait for the Sound of Home! The truth isn't one of them. It was filled with sweet moments and suspense. I was so into it and was always wondering what's gonna happen next. There were some unpredictable events which had me gasping. Loved not only just Ben and Jenna but the whole of Langley park. The moment I met Sam and Zoe I knew I'll love them. AND kate. And Kathy. And Neil. Even the bicycle shop owner Ted😂😂. It was that typical sweet small town. Ben is an architect and Kate's dad. Kate is his whole life's purpose. UNTIL Jenna😝. "Holding on is believing that there's a past, letting go is knowing that there's a future." How do you heal from your past when you refuse to acknowledge it? Jenna Jo has never planted roots and never planned to. She loves her job implementing reading systems into schools. Teaching children is her life and she is happy with the way things are until her past finds her. Ben's past has left him a shell of his former self. He has his work and his daughter, the latter being his sole purpose. He refuses to make connections with anyone until an angel from his past brings him back to life. Can Ben and Jenna overcome their past to start their future? While I loved this story and wish I could have connected with the characters more. It felt as if one character, in particular, was over developed, almost seeming as if they had a double personality. Other than that I did love the story and recommend this book. This was a cute read. I thought that this story was sweet. I love second chance story and this is a great one. I thought the characters were great, but I wish that I could connect with them more. It would have made them more enjoyable. However, I thought the romance was sweet. I thought that their chemistry was great. The ending was great. I can’t wait to see what happens in this series. Overall, a great read. What a great story of second chances and self worth!!! 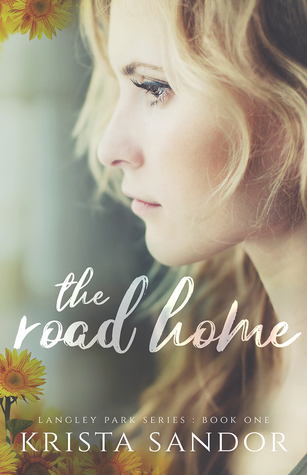 The Road Home is just that: the story of our heroine, Jenna, and the road she travels to find her true “home”. After childhood that left her broken to an adult who never believed she was worthy of happiness or love. Enter Ben, our hero, and also Jenna’s childhood crush. Ben is closed off as well, past tragedy has made him distant to everyone but his daughter. As I always enjoy finding new authors to me, Ms. Sandor has been added to my new lis What a great story of second chances and self worth!!! As I always enjoy finding new authors to me, Ms. Sandor has been added to my new list of authors to read. After the little teaser at the end of TRH, I’m diving into a The Sound of Home. Where do I begin with this book!!! It was such a great story that hooked me right away. With all the stuff Jenna went through in her past with her unloving mother and nasty boyfriend, she tried her hardest to not let love in her life besides her job teaching kids. But a run in with a crush she hasn’t seen since her sophomore year of high school, who she thought didn’t even remember her, changes her way of life and thinking. With a little drama thrown in to give it a little spice, this love story Where do I begin with this book!!! What a great start to the series & I know it's only going to get better. I'm hooked already! Ben & Jenna briefly knew each other in high school but always treasured there moment together. When there paths cross again there fate keeps pushing them together but both have to over come there past for a future together. This book was heartbreaking and beautiful. I definitely want to read the rest of the books in this series. I really hope there is a next one. WOW!!! This is a fan-blooming-tasting book. It’s definitely worth 5+ stars. The book is about Jenna and Ben. Jenna has a tortured past where she was neglected, abused and moved around a great deal. She’s been running from her past for many years. Jenna now works as a specialist reading teacher and moves from town to town every two years. Ben and his daughter have suffered through tragedy. Ben’s wife killed herself by carbon monoxide poisoning and had Kate in the car with her. Ben was able to sav WOW!!! This is a fan-blooming-tasting book. It’s definitely worth 5+ stars. The book is about Jenna and Ben. Jenna has a tortured past where she was neglected, abused and moved around a great deal. She’s been running from her past for many years. Jenna now works as a specialist reading teacher and moves from town to town every two years. Ben and his daughter have suffered through tragedy. Ben’s wife killed herself by carbon monoxide poisoning and had Kate in the car with her. Ben was able to save Kate but not his wife. Jenna and Ben meet in Langley Park a small town where Jenna briefly knew Ben as a teenager. She has a fond memory of him and the town. Jenna’s mother emerges from the past and she tries to help her mother recover from a possible suicide attempt. The author addresses the issues of abuse, neglect and suicide with understanding, compassion and authority. The story is well written, the story line makes sense and the characters are terrific. Even the evil characters are terrifically evil. The book is intense with an underlying level of danger with an apparent stalker troubling Jenna. Will Jenna and Ben overcome their issues to find a happy ever after together. Do yourself a favour and read this amazing book, I’m positive you’ll love it just as much as I do. Jenna comes from a dysfunctional family and that in itself is an emotional rollercoaster. Tie in the drama of her long lost love and his daughter and you have an epic story that will grip your heart and have you in Jenna and Ben's corner. The story is captivating and intense and brings light on issues that are so much in the headlines today. OH my Jenna and Ben. This story has so many feels in it. I felt so real and the love just poured throughout the story. Jenna has to come back to her hometown and now deal with her past. Her past may also be her future. As Jenna finds herself she finds something so much more. She finds love, a love that allows her to be herself and finally feel whole again. Ben and Jenna have this chemistry that is off the charts and you just feel like you are part of the story as you read it 4.5 AMAZING STARS!!!! Ben and Jenna have this chemistry that is off the charts and you just feel like you are part of the story as you read it. I can't wait for more in this series!!! This is the 1st book I’ve read written by Krista Sandor; she has done a great job at writing a good book. I can’t wait to read more of her books. A well written book with an entertaining story line. The author brings strong characters in Jenna and Ben , gives them a hot chemistry and weaves an emotional story dealing with some deep issues. The story moves quickly and smoothly and I enjoyed reading. Great book. A story of a long lost love that you thought was in the past never to be again. Jenna fell in love with Ben when she was 15 years old and Ben never forgot her either. A widower with a six-year-old daughter, Kate,, has been a shell of a man for the past three years since his wife committed suicide and Jenna is bringing him back to life. Best line in the book? “You’re everything I wanted and never thought I could have.“ What a profound loving proclamation every woman wants to hear. Whe Great book. A story of a long lost love that you thought was in the past never to be again. Jenna fell in love with Ben when she was 15 years old and Ben never forgot her either. A widower with a six-year-old daughter, Kate,, has been a shell of a man for the past three years since his wife committed suicide and Jenna is bringing him back to life. Best line in the book? “You’re everything I wanted and never thought I could have.“ What a profound loving proclamation every woman wants to hear. When Ben and Jenna listen to their hearts things start to go their way. Neither one of them expected to love like this. I love that it started when they were teenagers and never faded away. Jenna helps Ben heal the wounds from his wife’s death and Ben helps Jenna let go of her past and look towards the future. Awesome. This book pulls you in and makes you feel. It is well written, interesting, smooth, and kept my interest through the whole book. The storyline and characters are engaging. I recommend this to all. I received it from booksprout and voluntarily left my review. This is a wonderful story that pulls you into it and makes you feel good. The town and the people make you feel as if you know them. I found this book to be a very enjoyable read with the great character and storyline development which kept my interest throughout the entire book! This was the first book that I have read from this author and it definitely will not be the last! An easy and enjoyable read. I thought the character development was great. You do start to care about them and what happens to them. The points of conflict in the story wrapped up a little too quickly at the end. I am open to reading more of the books in this series. The book is a good romance read. The characters are good and likable. The story is a fun, easy, full of emotions read. Love Ben and Jenna story it was heartbreaking and beautiful. Sometime it’s hard to let go of the pain and stay with your hard truths but it might be worth a risk to start a new beginning with the one whose make you want something more. I am so glad I took a chance on a new author. 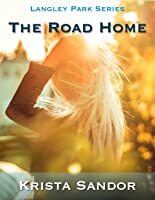 The Road Home is a wonderfully written second chance romance that I could not put down. Loved this book!! It is one you just don't want to put down. Krista Sandor writes steamy contemporary romance with toe-curlingly hot heroes and heroines you'll want as your best friends.